Ahhh, winter. The season of red wine, crackling fires, and skin so dry there's more face flakes than snowflakes scattered on the ground. It's true the UK gets pretty damn cold (as a native Australian I can attest to that), but in the grand scheme of things, it's nothing compared to the winters of ice-covered Antartica and snow-deep Canada. 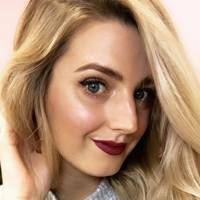 So to find out the true secrets for beating dry winter skin, we asked Russia-based beauty and fashion influencer, , for her best icy weather skincare tips. Chapped lips are often winter's first victim. While carrying a lip balm with you 24/7 will help, Marie has a few extra tricks for keeping them smooth and hydrated. 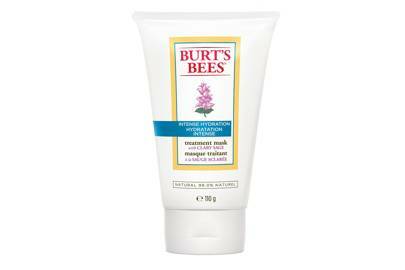 The 'Holy Grail' of moisturisers is here. "I like to apply coconut oil on my lips, cover it with some cling film and leave for 10-15 minutes. It really does wonders to my lips and makes them smooth and very soft. A honey mask can also be nice." If you have dead skin or flakey lips, Marie says to massage and exfoliate them with a dry toothbrush afterwards, letting the mask soften the lips first. When it comes to her skin, Marie says the cold weather makes her more dry and sensitive, 'especially when exposed to outdoor wind in contrast with the warm and dry air of indoors'. "I definitely use my scarf to cover most of my face when outside', she says. "It is actually very important not to expose your face too much to the cold and the wind." 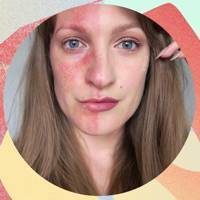 "In winter, I include a hydrating serum as an extra step to my routine before moisturising. 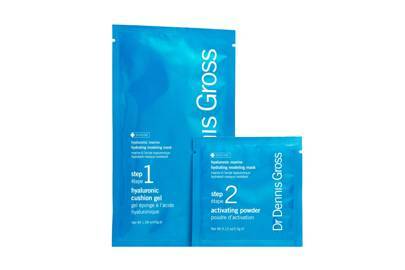 Or a hydrating sheet mask - my skin feels like a newborn's after doing them." 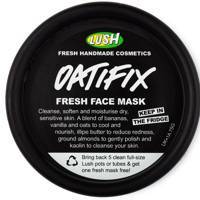 If you have oily skin and are used to a thorough cleanse, you may want to ease up in the winter months. "My skin gets a bit oily in the T-zone area, but I experience dryness on my cheeks", says Marie. "I try to be more gentle with cleansing when this happens and cut out any scrubbing of the dry areas." 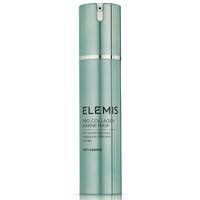 If you traditionally use a foam cleanser, consider switching to a cream-based cleanser or balm in winter. It can be SO easy to forget to drink water when you're freezing cold, but it really is essential to healthy skin. 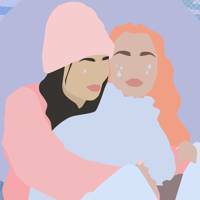 "Eating whole foods, more fruits and veggies, as well as drinking enough fluids can truly help the skin survive these harsh times and stay soft and more hydrated", says Marie. Not only will this lower your heating bill, but Marie says the warm and dry air can be as harmful as harsh outdoor winds. "Try not to crank it up too much. I always try to just put on more clothes before resorting to the heater." A super luxurious treat for the skin. 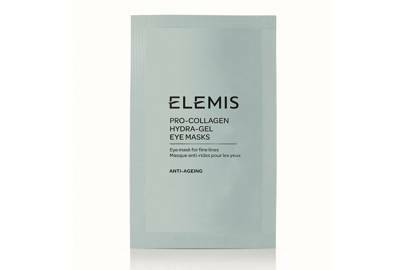 The pro-collagen treatment makes it ideal for mature skin, but works wonders on any dull looking complexion in need of a radiance boost. Pro tip: apply a serum specific for dry skin after washing off the mask for the ultimate at home spa night. A-lists known it best! 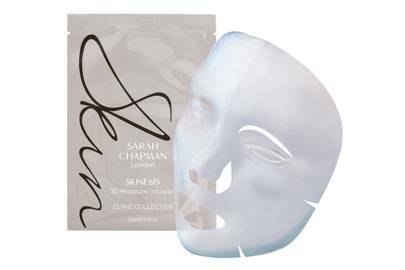 We often see photos of stars getting ready for the red carpet with these sort of eye-patch-alike masks, reason being they work greatly. 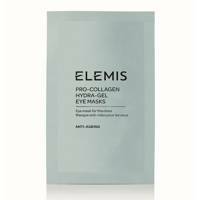 Although the actual face mask does it all and is all you need, the eye mask is ideal for a more targeted treatment. Dior's Hydra range is an absolute shelf gem! 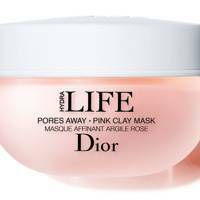 Specifically designed to restore brightness, softness and diminish the appearance of pores, the mask does what it promises. 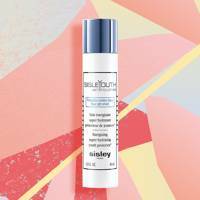 Our go-to for when skin is in need of a serious hydration bomb. 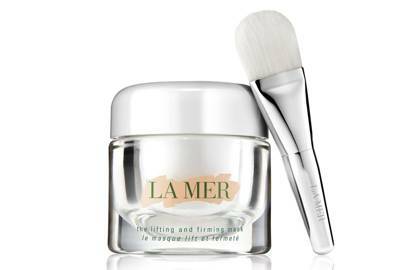 Do not be scared by the price tag, La Mer is known for its skincare excellence and delivering results. 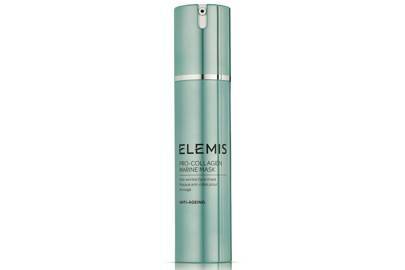 Although this one is not specific for dry types, it completely renews complexion - from dull to dewy. And we love dewy. 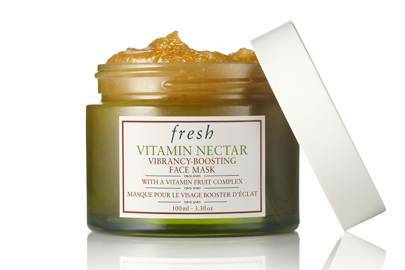 A winter-rescuer or a summer-booster, this Fresh mask is exactly that, fresh. 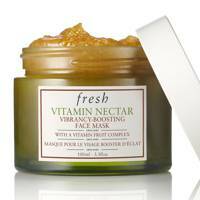 The vitamin infused gooey mask works with fruit complexes to deliver a super bright lively complexion. 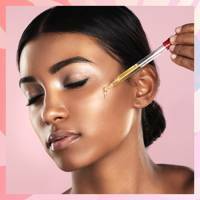 So look no further if you're lacking that summer glow, this will give you the bare-faced beach babe look you've always wanted. Organic beauty enthusiasts, this one is for you. 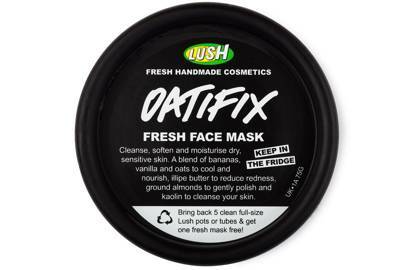 The Lush masks are freshly handmade and need to be kept on the fridge, packed with all things good, the Oatfix is a blend of bananas, vanilla and oats to cleanse, soften and moisturise, consequently skin is left healthy-looking and refreshed. It is also ideal for those with sensitive skin. Those that have dry skin know that the temporary effects of a sheet mask are life-savers. 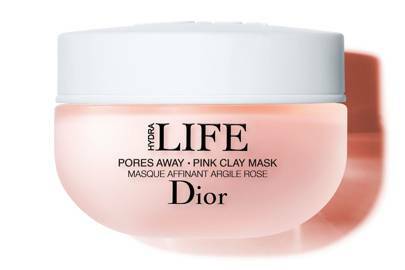 If you're in need of a relaxing fix-up after a though week or just having an at-home spa day, indulgeion the soothing effect this super-moisturising mask has. 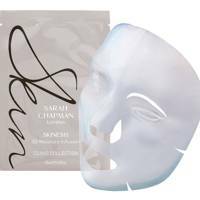 The Sarah Chapman mask is 400 times thinner than your regular sheet mask, meaning it can really penetrate on your skin to get results. 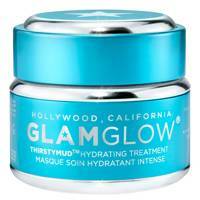 GlamGlow is a blogger and A-list favourite, and if that doesn't convince you of its goodness we don't know what does. 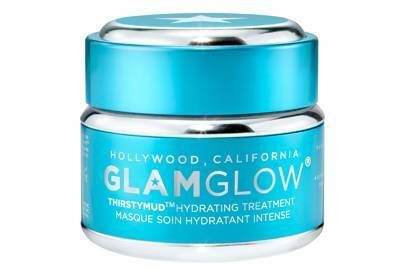 The ThirstyMud is the brand's mask specifically designed for dry skin. For long lasting effects and all around dewy-ness. Another one for the organic beauty fans. 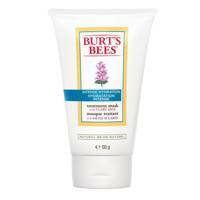 Burt's Bees super gentle formula, makes it ideal for an everyday treatment. 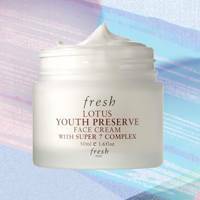 It is not a hydration bomb, but it restores your complexion's balance and helps it retains moisture - which if you ask us sounds even better, slow and steady always wins the race. 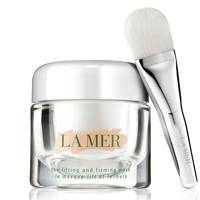 This mask targets mature skin, but the reason why it joins our list is because it was specifically designed to help skin retain water and moisture. Packed with all the goodies that rescue any dry or dull complexion - Alginates, Glycerin and Hyaluronic Acid - it is the definition of affordable luxury. 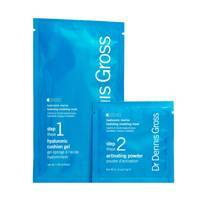 Skin healing in supplement form.